Art is what drives us, inspires us. Words can not describe the joy you feel when you create something that you are truly proud of. I like to think of myself as a spreader of joy, creating memories and sharing them. Every wedding I shoot is so different, and holds a special part of my heart. I love being surrounded by my couples friends and family, and the people who make them who they are. Whatever has brought you to our page, whether it is photographer shopping, or just clicking through the interwebs, welcome, and enjoy. Emily and Jake got married at the ever wonderful Maleny Manor on a sunny April day surrounded by many family and friends. 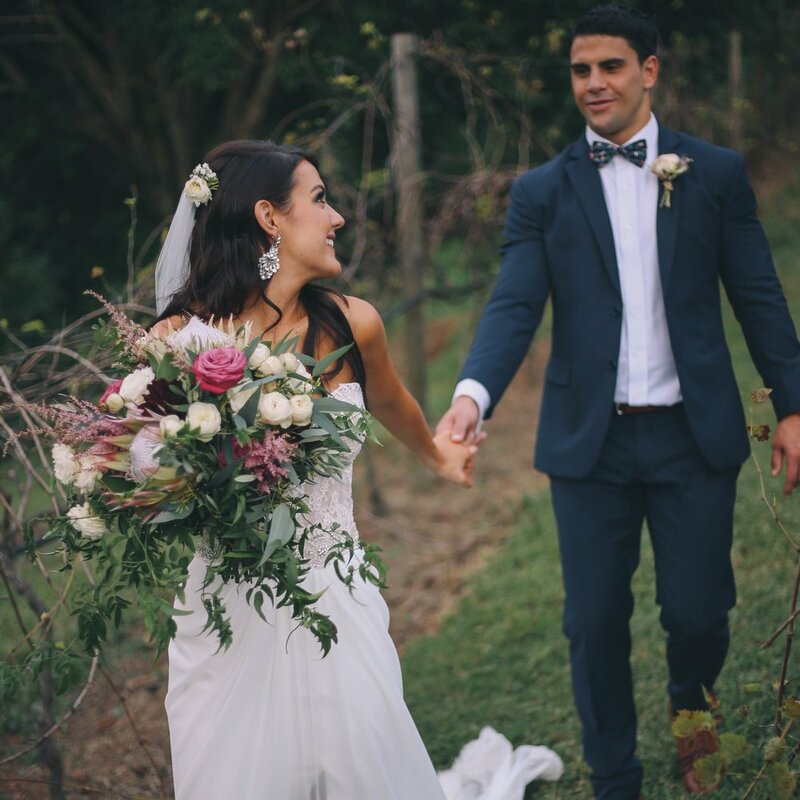 Emily wore a customised dress by one of my favourite Australian designers, Grace Loves Lace and the flowers were done by one of the Sunshine Coasts best, Mondo Flower Designs. These two lovebirds got married at Flexton Gardens, one of the Sunshine Coasts best wedding venues, with stunning views of the coast. Ai-Vi and Long’s wedding was so full of love, family and culture. Packed with both Vietnamese and Chinese traditions, their wedding day was a display of colour and good vibes giving me a whole new appreciation for cultural diversity. Judah and Bek exhumed love, with a passion for each other that showed so evidently on their big day. Married at Landers Shoot, their reception was one of the best ones I’ve been to, with a dance floor that was next level. Heather and Gian finally decided to announce their pregnancy at seven months with a couples shoot showcasing Heather’s adorable bump. At the crack of dawn we took to Sunshine Beach to capture their love in the early morning light. It was magic on all levels and I look forwards to taking photos of their baby. I was extremely honoured to second shoot for Shane Shepherd on this wedding. He is such a talent and so amazing to learn from. After seven years together, Erika and Josh finally decided it was time to get some professional shots of them together. They were one of my first couples to book my “This is Us” photoshoot which took place in their beautiful, newly built home. These two were naturals and I’m so happy with how the images turned out. These two were just the sweetest thing ever. Married at the always amazing Noosa Beach, their day was filled with many laughs and tears.